Learn the best ways to support brain health and improve cognitive function naturally. Imagine sitting at your desk working, when suddenly you realize you need the notebook you left in the living room last night. You spring out of your chair with urgency, focused on retrieving the book and walk into the living room. In a matter of seconds, you already forgot why you entered this room. Frustrated, you return to your office a few moments later, only to sit down and suddenly remember what it was. If this scenario sounds familiar, chances are you will benefit from discovering ways to boost your brain health, improve memory and concentration. Cognitive decline is often viewed as a natural part of the aging process that people laugh off or accept as normal, but does it have to be? Degenerative processes often lead to short-term memory loss that causes things like the scenario above. As we age, concentration and learning can also become more difficult. Then, of course, there are the dreaded neurological diseases like Alzheimer's and other forms of dementia. Most people don't like to dwell on cognitive decline, but they sure would like to avoid it as long as possible. Fortunately, many studies have shown that a proper diet and supplementation can delay and even reverse cognitive damage. Are you getting what you need to ensure your brain stays healthy throughout life? Here are some of the best supplements to help support memory, boost concentration and prevent age-related decline. Docosahexaenoic acid (DHA) is a fatty acid found in abundance in the brain. It is vital for the proper transmission of brain signals. DHA makes cell membranes more fluid, improving communications between brain cells. Lack of omega-3's in the diet cause communication breakdowns in the brain. Although there are many natural food sources for Omega 3, those who eat a typical Western diet do not get them in sufficient amounts. For this reason, many choose to take a daily supplement of either fish or flax oil to meet requirements. Ginkgo is a large, ancient tree whose leaves have been used for centuries to treat a variety of ailments. Ginkgo leaves contain two groups of active compounds – ginkgolides and glycosides that increase blood flow, improve the health of blood vessels, and increase the inflow of oxygen and essential nutrients to the brain and other vital organs. 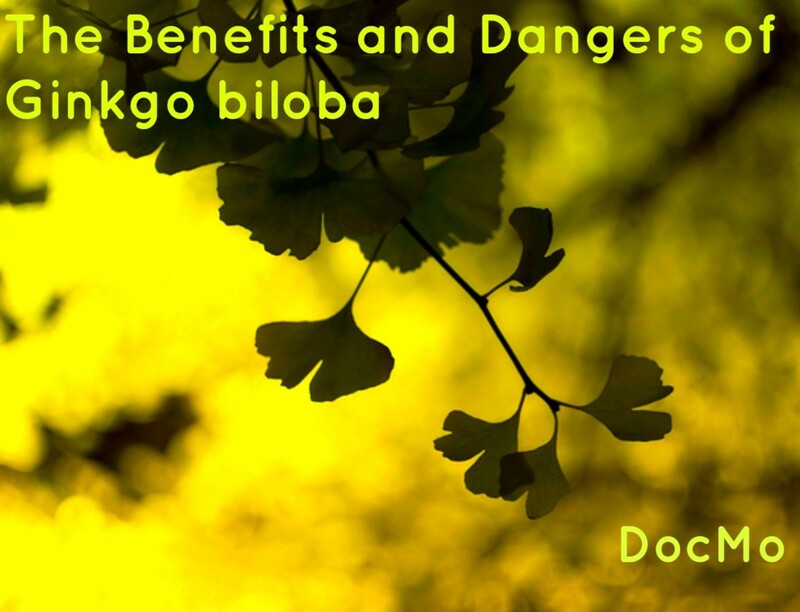 Many studies have been done on Ginkgo for brain health. It has shown promise in the treatment and prevention of Alzheimer's and dementia and also improves cognitive function and concentration in younger adults. This is a supplement I use regularly to treat ADD symptoms and I have found it really does help me concentrate better and improves my short-term memory. Ginseng is a powerful overall health tonic used widely in Asian countries. It gets its name for the word “panacea”, meaning a cure all. Ginseng is one of the most widely studied herbs that has shown great promise in many areas, particularly as a complementary form of cancer treatment. As a daily tonic, ginseng relieves stress and promotes and increases lasting energy. Panax ginseng reduces the levels of the stress hormone cortisol in the brain. It has also been shown to help both those with age related decline and the young to improve their cognitive skills, including reaction times and abstract thinking. 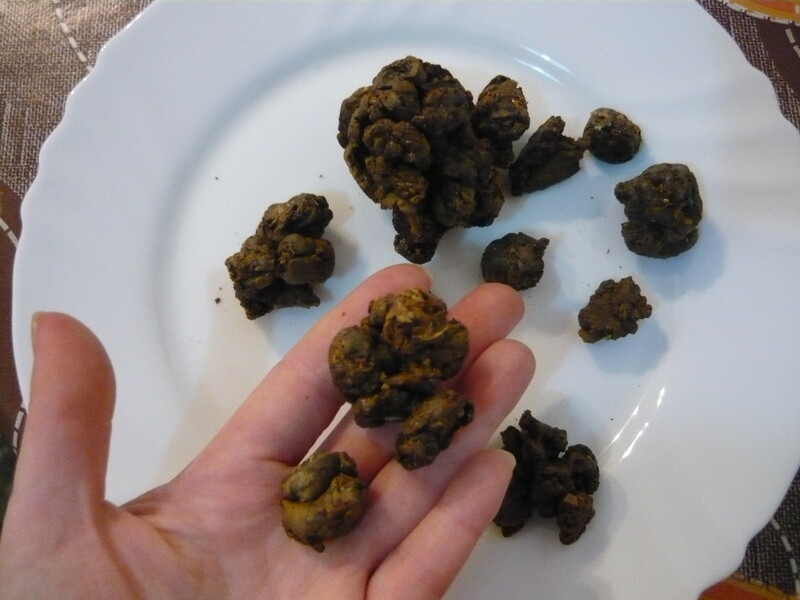 Combined with Ginkgo, it can also help to improve memory. When looking for quality supplements at a good price, consider the "NOW" brand. You can find them on Amazon or in various nutrition shops, although they usually cost less online. I use an array of their supplements and have never been disappointed in the quality vs money spent. A randomized, double-blind, study involving 341 patients with moderate Alzheimer's disease showed that vitamin E slows the progression of the disease. The study, published in the New England Journal of Medicine, suggests that vitamin E increases the levels of catecholamines, protecting against oxidative damage. This in turn reduces damage to the neurons and slows the progression of the disease. Vitamin E also protects against heart disease and improves circulation, in turn better supplying the brain with nutrients and oxygen. This also protects the brain from age-related decline. The full spectrum of B vitamins includes B6, B12, choline, folic acid and 5 others. All of the B vitamins are important to brain health and function, but some like folic acid and B12 are critical. B6(pyroxidine), for example, is used for generation of neurotransmitters in the brain. B12 protects against brain volume loss in the elderly. Folic acid is one of the most important nutrients required in pregnancy. It plays a key role in brain development of the fetus and deficiency can even lead to serious birth defects. Most B vitamins can be obtained through a healthy diet, but supplementing has many health benefits not only for the brain, but other areas as well. They support a healthy metabolism and boost energy naturally. Sublingual (drops under the tongue) B vitamins are absorbed most easily by the body. Research has shown that Coenzyme Q10 (CoQ10) reduces protein deposition and reduces oxidative stress in the brain, improving cell communication and cognitive function. CoQ10 is an antioxidant that benefits the health in many ways. It is used by the body to synthesize cellular energy. A study published in the National Library of Medicine demonstrated CoQ10's ability to improve cognitive function. CoQ10 treatments were given to mice genetically predisposed to develop abnormal protein deposition in the brain. CoQ10 not only reduced oxidative stress, it also reduced levels of A-beta-42 peptide in the brain, fragments that affect nerve cell communication. Resveratrol helps oxygenate the blood and feed the brain, although it doesn't directly affect cognitive function. 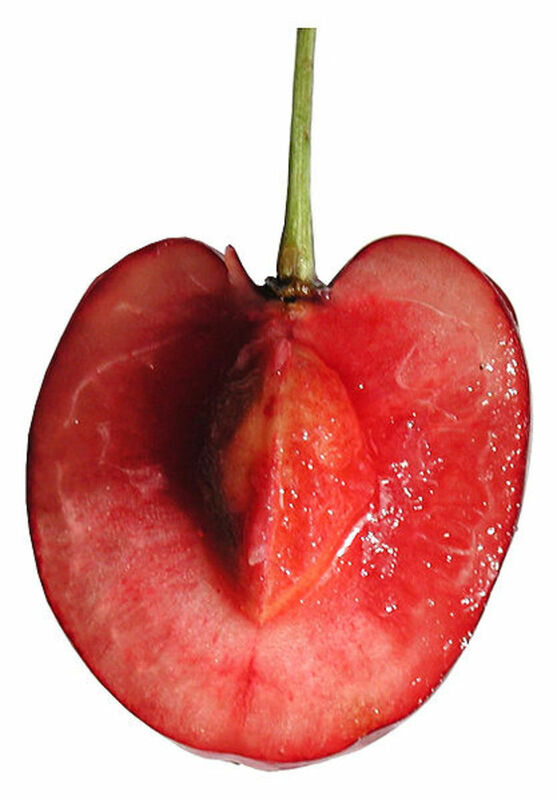 Resveretrol is an antioxidant that originates in the skins of grapes and other berries. It is an amazing supplement that promotes overall good health and longevity. It is used to treat a variety of conditions from gum disease to heart disease. Resveratrol has the unique ability to cross the blood-brain barrier, increasing oxygen and protecting the brain and nervous system. 250-500 milligrams is the suggested daily dose to improve cerebral blood flow. ALA is a powerful antioxidant that can easily pass into the brain, neutralizing free-radicals that are at the heart of many brain problems. ALA supplementation has a protective effect on brain and nerve tissue and is particularly useful for those who have suffered brain traumas such as stroke. 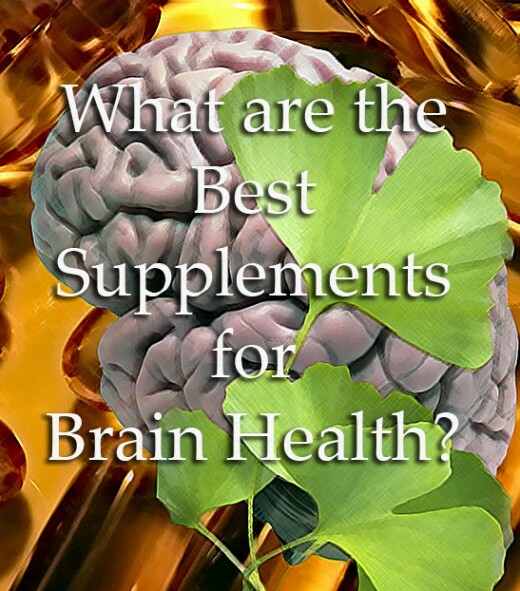 Do you currently take supplements to improve brain health / cognitive function? Yes, I take one or more of the supplements listed here. I hadn't considered using supplements to protect my brain and prevent decline, I will look into it further. I don't take supplements or plan to. I'll share my ideas in the comments below! Magnesium is a mineral that is very deficient in modern diets. It's important for overall health and plays a role in biochemical processes all over the body. It is involved in energy production in the cells and cell transport activity. Magnesium is able to cross the blood-brain barrier, and it not only supports healthy brain function, it also relieves stress and calms the mood. Magnesium is an excellent supplement for overall health that is inexpensive and can be taken by almost anyone. If you have kidney disease, you should consult a physician prior to magnesium supplementation. Lecithin is a good source of choline. Phosphatidylcholine is a precursor to acetylcholine synthesis, a neurotransmitter responsible for communications between nerve cells. It is particularly prevalent in the parts of the brain involved in learning, memory and mood. Choline increases the concentration of Ach, making it a good supplement to prevent memory loss and enhance learning. ALC is an amino acid that can delay the onset of Alzheimers and also slow the progression of the disease in those who have been diagnosed. It does this by fighting fat oxidation in the brain. Although the body typically produces all it needs, there are marked deficiencies in Alzheimer's patients. Supplementing with Acetyl-L-Carnitine can be done safely as long as recommended dosages are followed. Many people overdose on this supplement because it also has fat burning properties used for weight loss. As a result, they end up with sometimes serious side effects from chronic overuse that can include mania, extreme depression, and other problems. A standard dose is 500mg daily and use of this supplement should be discussed with your physician. PS helps brain cells metabolize glucose and bind with neurotransmitters, aiding memory and learning. It increases communications between brain cells by increasing receptor sites and softening cell membranes. PS also restores the brain's supply and production of acetylcholine. Just like the body, your brain needs exercise to stay strong. Do things regularly to challenge your brain. If your "brain hurts" after doing a puzzle for example - that's a good thing not to be avoided! Put free puzzles on your Tablet! I use them regularly on my Kindle and there's an impressive array of free games specifically for brain boosting! Everyone's needs are different. If Alzheimer's runs in your family, you may want to work on supplementing with amino acids that tend to be deficient in those who develop and have the disease. If your goal is just to sharpen your focus and ease some of the more normal age-related decline issues like losing your glasses, or having more difficulty learning or concentrating, you may want to give Ginseng or Ginkgo (or both together) a try. 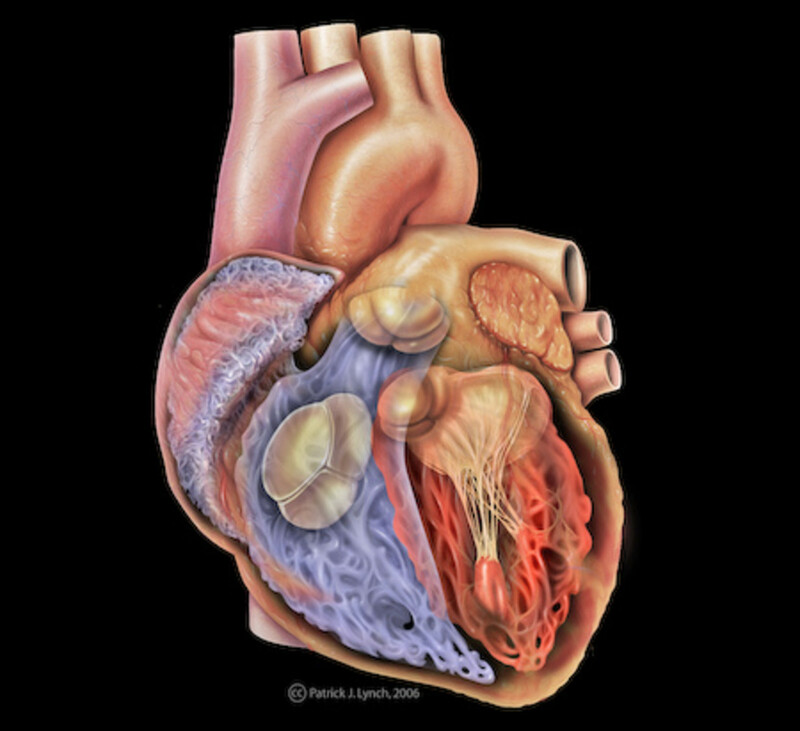 If heart disease or other circulation issues are worrisome add CoQ10, resveratrol or vitamin E for their added heart health benefits. Many of these supplements can be used together, but all supplements should be discussed with an herbalist or your MD if you are combining herbs or especially if you are combining herbs with medications. CoQ10 has recently been linked to alleviating toxin-induced health problems in a study by UCSD on Gulf War veterans. The study links damage related to chemical exposures, such as pesticides or pills given to soldiers to protect them from possible nerve agents having damaged mitochondria. 80 percent of the veterans who received 100mg of a "high quality" CoQ10 had improvement in physical function. The researchers speculate this can be relevant to the population at large in terms of toxin-induced health problems. What is your take on this research by UCSD on CoQ10? Ocean, there are some amino acids that have shown promise for brain injuries. They are called "branched chain" amino acids. Not sure how they would work in those wanting to stave off dementia - but research on their ability to help after brain injury is quite promising. leucine, isoleucine, and valine are branched chain amino's. Some people also use them to fight fatigue and improve concentration. They also help with repair of muscles so a lot of athletes use them. I'm very sorry to hear about your father and what he went through at a young age. I can definitely see why you are interested in prevention. Thanks for reading and commenting! 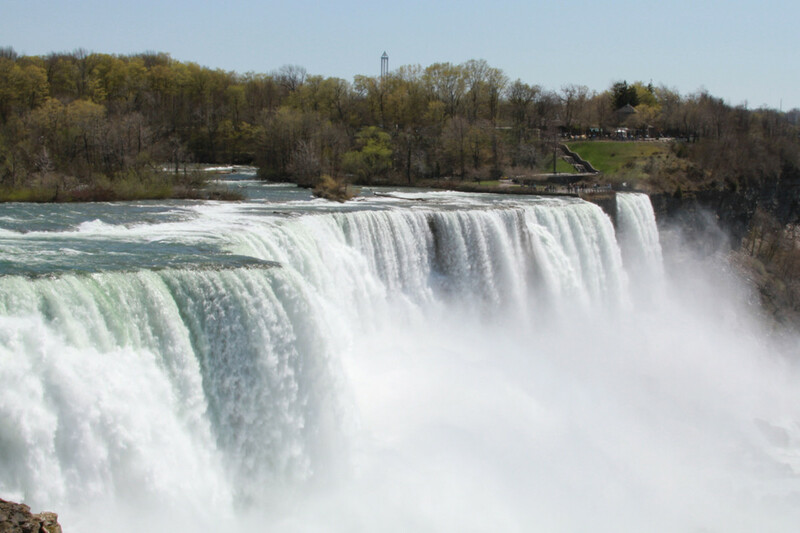 Hi Christin, thanks so much for sharing this hub. This is something I research when I find the time, and it is just amazing how many people struggle with memory loss and brain problems. This is an excellent amount of information, and I am so glad to have come across what you shared here. Many people don't realize the COQ10 and omega 3's are good for more than heart health, or it seems to me. What amino acids are best, in your opinion, for those wanting to stave off Alzheimer's Disease? This is something my sister and I study as much as we can, due to our father's decline and then death to Alzheimer's Disease. He may have had a Parkinson's component in the end, they are not sure for sure. The doctors weren't in agreement on that. One thing that was sure, his frontal lobe declined too quickly, though it could have been due to some other causes they said also. Saddest part was, he was only 68 years old. Very fit in other ways. Anyway, thank you again for a wonderful hub. Thanks Eric - an ounce of prevention so they say. If you had to pick just a couple I'd go with the B complex and magnesium - they benefit overall health and are needed throughout the body so you get multiple benefits. I do not suffer so much. But I want to be a super brain ;-) I am making list off this hub. Here's to brighter futures. Thanks a lot. 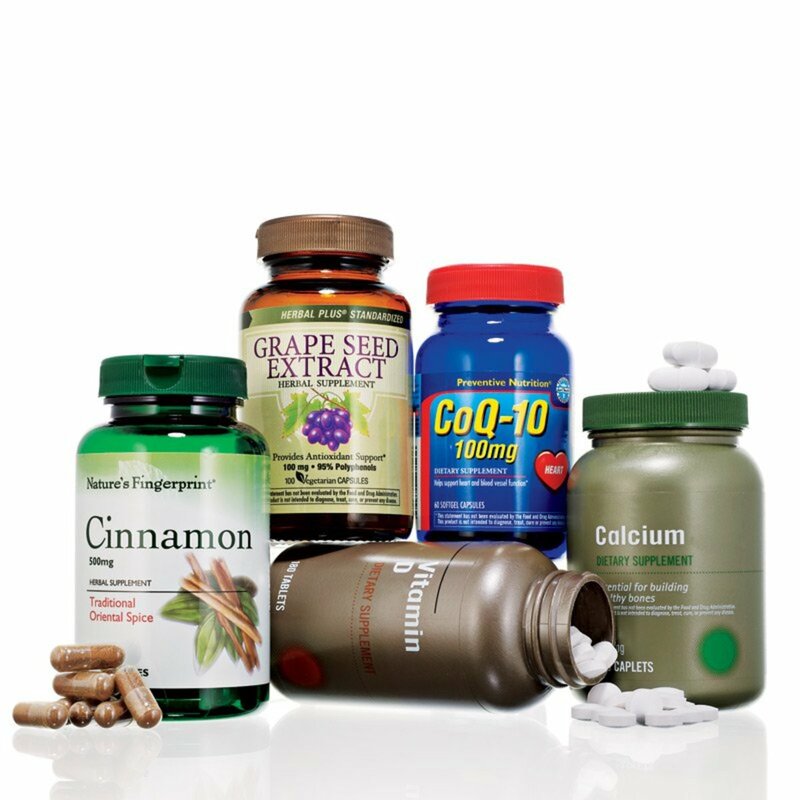 I'm in my sixties and taking a lot of these supplements. Personally, I can vouch that they surely facilitate the brain processes. Whether or not the vitamins and minerals, etc., can balance out the the liberal usage of pakalolo in my early adulthood remains to be seen. While the jury's deliberating on that one, I'm Hubbing away and--so far, so good! Aloha, Christin!